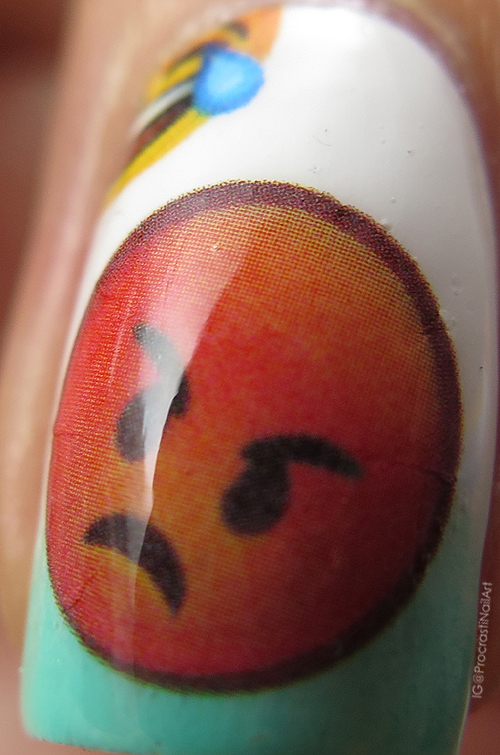 The sheet of decals I took this from has a variety of emoji faces in a few different sizes. They're each opaque on a clear background which is great because you don't have to worry about having to cut them close and you also don't have to worry about needing a white background to make them pop. I started with a gradient on each of my nails over a base of Sinful Colors Snow Me White. The gradient colors (from pointer to pinky) are: CND Vinylux Desert Poppy, CND Vinylux Honey Darlin', Ceramic Glaze Surf's Up and OPI Keeping Suzi at Bay. 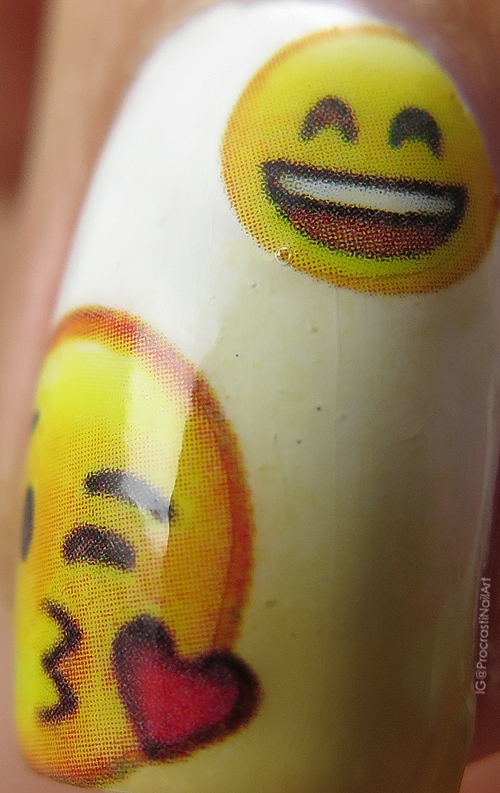 I then cut, soaked and applied my decals of all sizes all over my nails! Look at that grumpy little grump of a man! He's happy on the inside that I placed him over a contrasting gradient, though! And this little guy loves his matching yellow gradient! 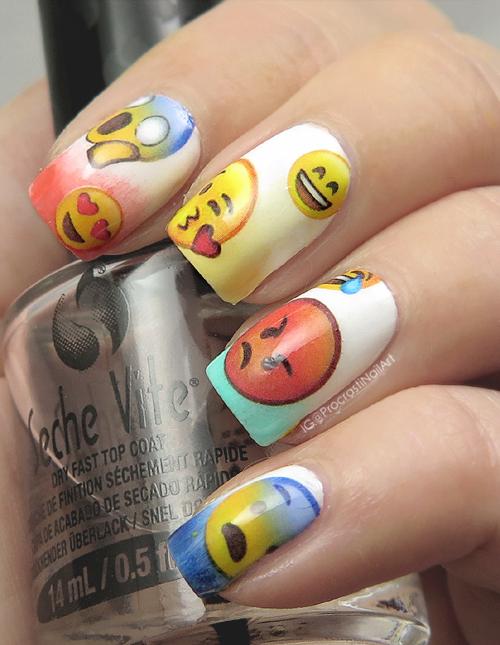 Would you rock these emoji on your nails? 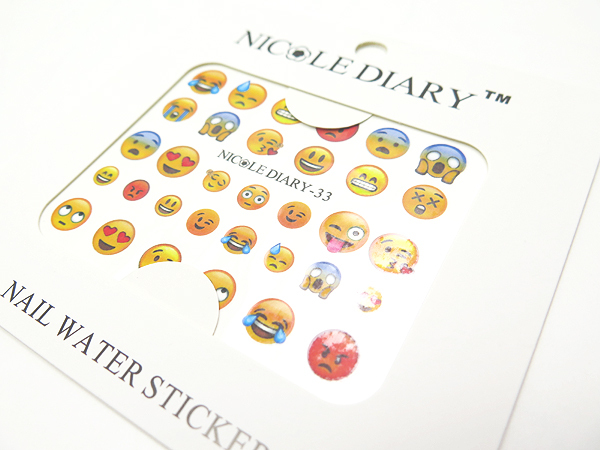 Or are these a NO-moji for you? Hahah. 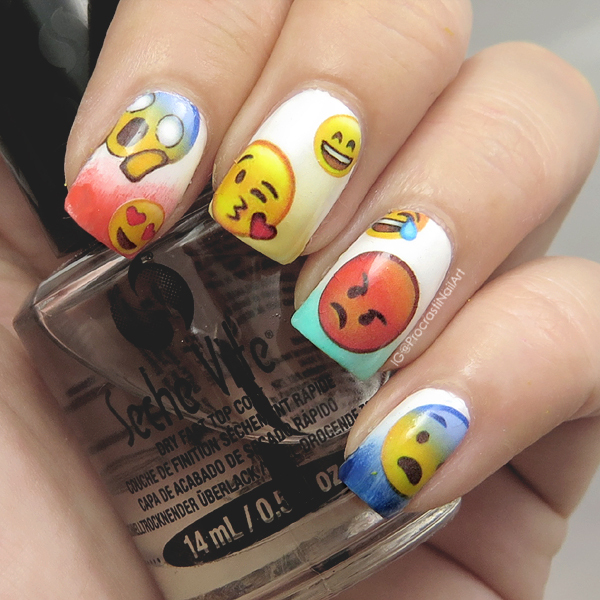 Those are some fun emoji nail decals. I tried these a while ago too, they're adorable! Great decals and awesome manicure! 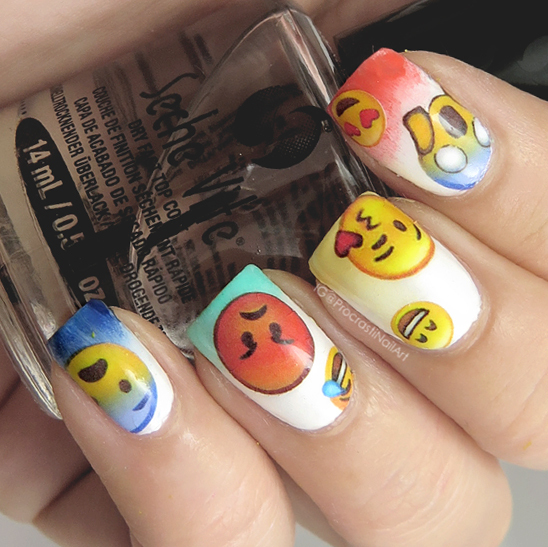 This mani is cool and adorable at the same time! Totally #teamredothismani and I would so rock these decals on my nails. That, or should I say those, gradients are so smooth I thought they were part of the decals!